Robert De Niro, Sigourney Weaver, and Cillian Murphy, all together in a film about paranormal activity, is a promising notion. Unfortunately Rodrigo Cortés’ Red Lights is pretty much an incoherent disaster. While the film gets off to a decent start, offering up some intriguing ideas about the paranormal, its attempts at becoming a thriller spiral the story out of control. 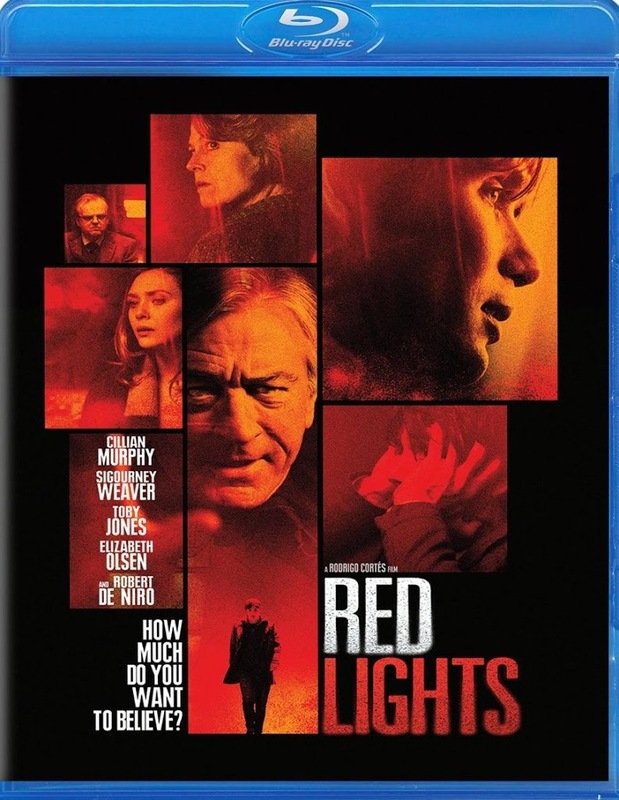 Red Lights seems to build mystery simply by leaving out big chunks of the plot. The film becomes unpleasant to watch in its total lack of focus and incomprehensible plot. 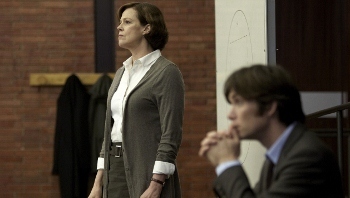 Sigourney Weaver stars as paranormal scientist Margaret Matheson. Matheson’s studies primarily focus on debunking reported paranormal experiences. She is able to easily detect and root out trickery perpetrated by supposed mediums, psychics, and other such charlatans. Her assistant, Tom Buckley (Murphy) dutifully accompanies her to the reported paranormal activity sites, hooking up various monitors and other scientific looking equipment. He is a scientist himself, and traveling around as a lowly assistant seems beneath him, but he has a greater purpose. He doesn’t want to see people sink their faith and money into the frauds who fill their heads with empty promises. 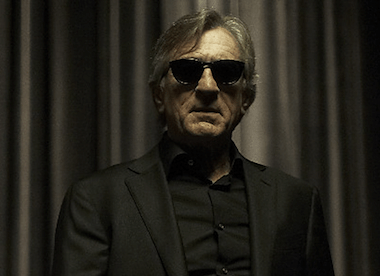 Matheson’s arch nemesis is Simon Silver (De Niro), a prominent psychic with telekinetic abilities. Matheson is sure Silver is a fraud, but has never been able to prove it. Silver has come out of self-imposed seclusion to give a big performance. It’s hard to fathom why someone like Silver would be so popular. He draws hoards of people to his shows. Everyone seems to believe he is real. In addition to telekinesis Silver claims to be able to heal the sick. It’s all a little too weird to buy that he would have such mainstream popularity. Nonetheless we are asked to do just that. As Silver’s show approaches, things start to get a little weird. Buckley develops a relationship with one of his students (Elizabeth Olsen), enlisting her help in the paranormal research. Clearly there is some big secret lurking behind it all. The film attempts surprise by throwing in the unexpected death of a main character, but this event just throws the film into disarray. After that, very little makes sense. Even the big reveal at the end fails to have any real impact or set things straight. In fact, it all left me feeling like, “So…that’s what it was all about.” Furthermore it was pretty easy to see where the film was going at a certain point. It’s a shame this film is such a mess. 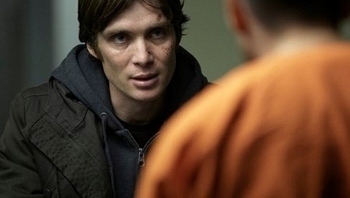 I liked Murphy and Weaver’s performances. In the beginning their relationship and research was interesting. De Niro was suitably creepy as Silver, though it was a little over the top. The film just did not come together in the end. The Blu-ray itself looks and sounds excellent. Most of the scenery is dark and dreary, but the detail is still very good. The 5.1 Dolby TrueHD mix is also top notch. The atmospheric sound effects come through creepily in the surrounds. The dialogue is clear and easy to understand. Overall I had no complaints about the audio/visual presentation. The special features consist of the usual fare of promotional featurettes, except much worse than average. These include cast and director interviews, behind the scenes, and a short making of piece. They don’t offer any insight into the movie itself. Fans of any the actors may be interested in checking this film out. Anyone looking for a good thriller will likely be disappointed.